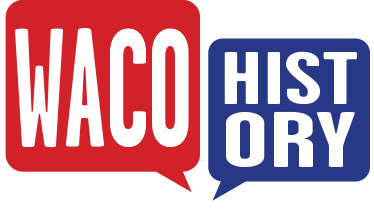 In the years leading up to 1870, the Brazos River proved to be both a blessing and a curse to the city of Waco. During that time, no bridges spanned the eight hundred miles of river flowing through Central Texas, forcing cattle drivers moving up the Chisholm Trail to find shallow fording areas. 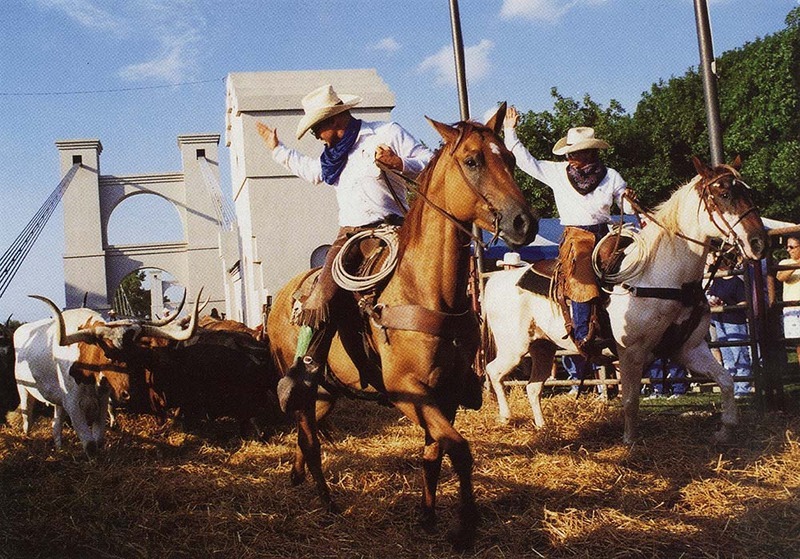 Waco's shallow banks provided one of these opportune locations, and the Chisholm Trail brought a great deal of trade to the small city. Yet the river also posed a serious transportation issue for merchants and travelers. Although Waco pioneer Shapely Prince Ross ran a ferry for those wishing to cross, the river became impassable for days or even weeks during flood season. John T. Flint, president of the Waco Bridge Company, hired Thomas M. Griffith, a civil engineer from New York, for the project. Griffith was an accomplished enginner who, early in his careeri in 1854, built the first bridge spanning the Mississippi River in frontier Minnesota. 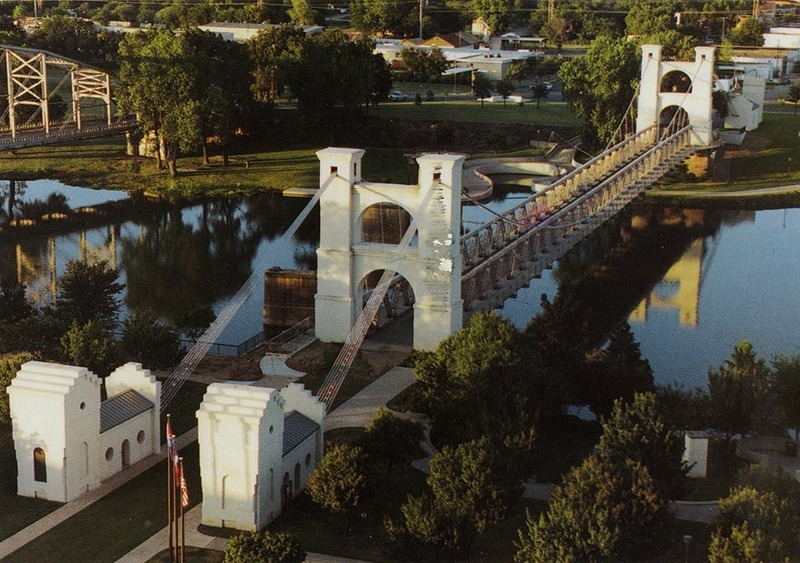 Griffith arrived in Waco in October 1868 to begin preliminary plans for the bridge.The Roebling Company of Trenton, NJ, was commisssioned to provide cables and bridgework. This is the same firm that would later provide materials for the Brooklyn Bridge. 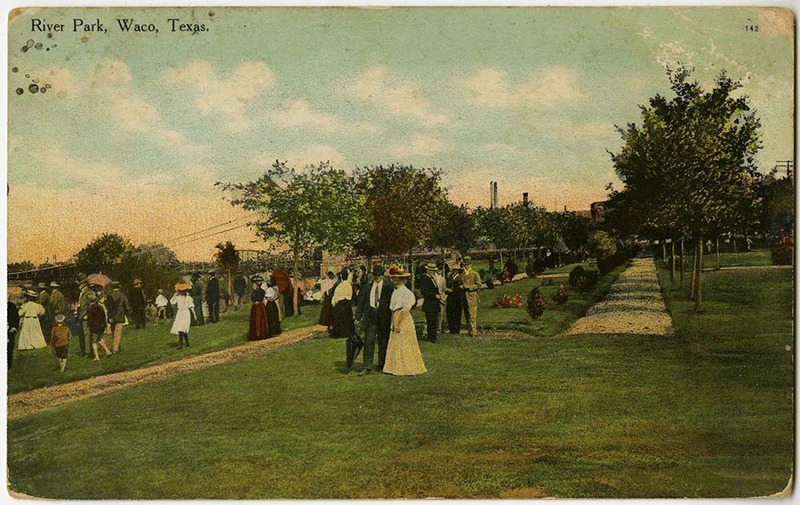 After the parts arrived in Waco by oxcart, local labor began to assemble the suspension bridge. The bridge was officially completed and opened to through traffic in 1870. 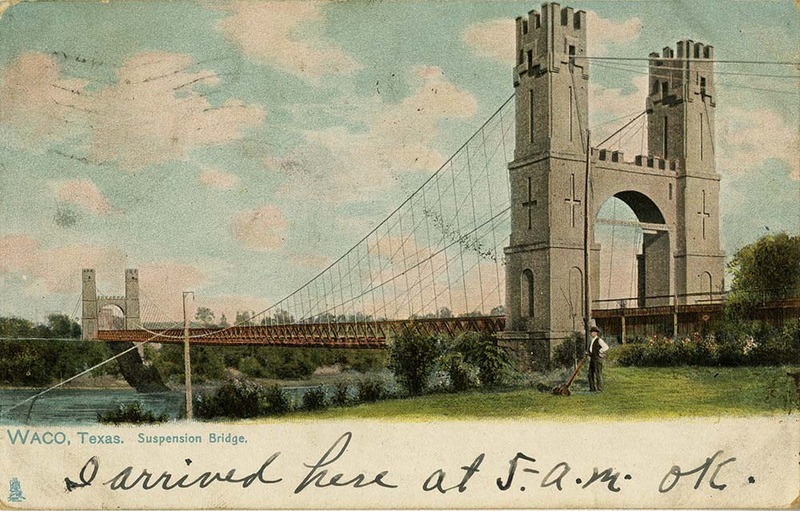 At the time, it was the longest suspension bridge west of the Mississippi River. 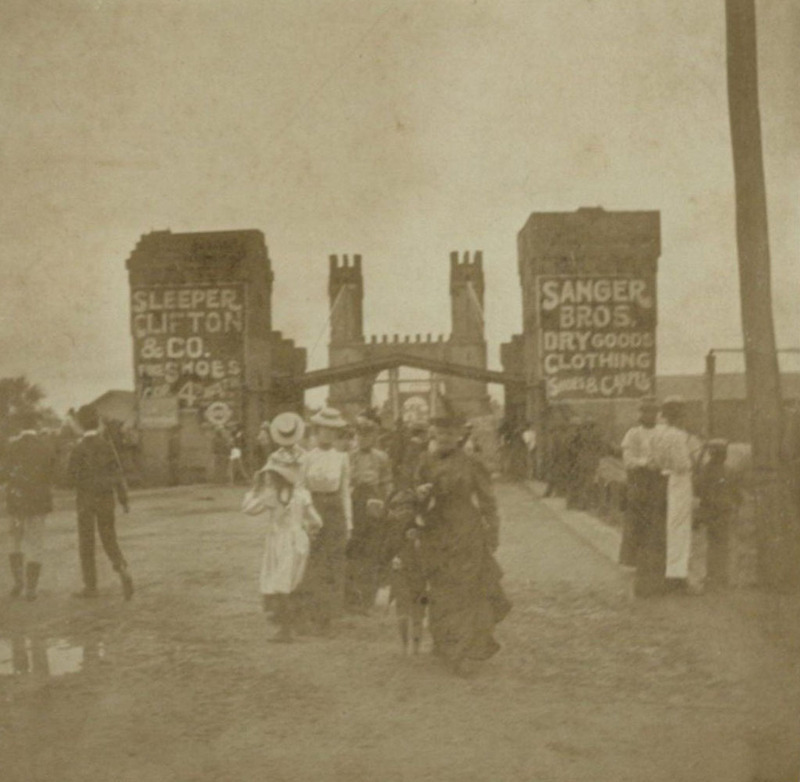 Caleb Vinson and Amanda Sawyer, “Waco Suspension Bridge,” Waco History, accessed April 26, 2019, https://wacohistory.org/items/show/24. Conger, Roger N., and Robert E. Davis. "The Waco Suspension Bridge." Texana 1, no. 3 (1963): 181-224.DeFeo, Todd. 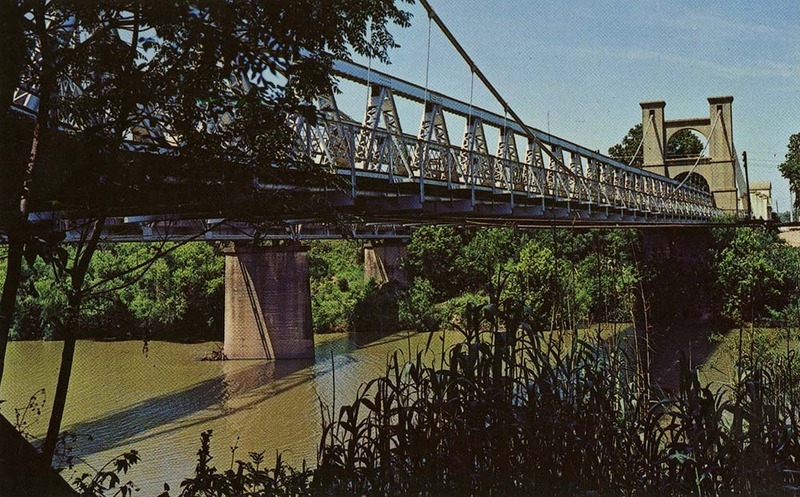 “Waco Suspension Bridge is Older than Brooklyn Bridge.” Washington Times, October 9, 2013.“First Bridge Over Brazos.” Waco Daily News, September 3, 1983.Handbook of Texas Online, Vivian Elizabeth Smyrl, "Waco Suspension Bridge," accessed August 14, 2017, http://ww.tshaonline.org/handbook/online/articles/rtw01.“Historic Cables of Bridge are Cut.” Waco Daily Times-Herald, October, 1914.Kelley, Linda J. 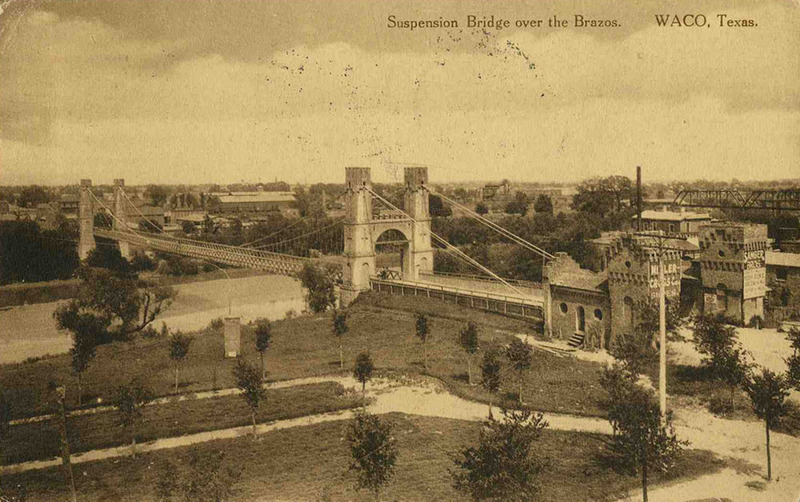 "Waco suspension Bridge Model For Brookly Bridge," accessed August 14, 2017, www.1000friendsofwaco.com/wp-content/Waco-Suspension-Bridge-story.pdf.McCullough, David. "The Great Bridge." Simon and Schuster, New York. 1972. 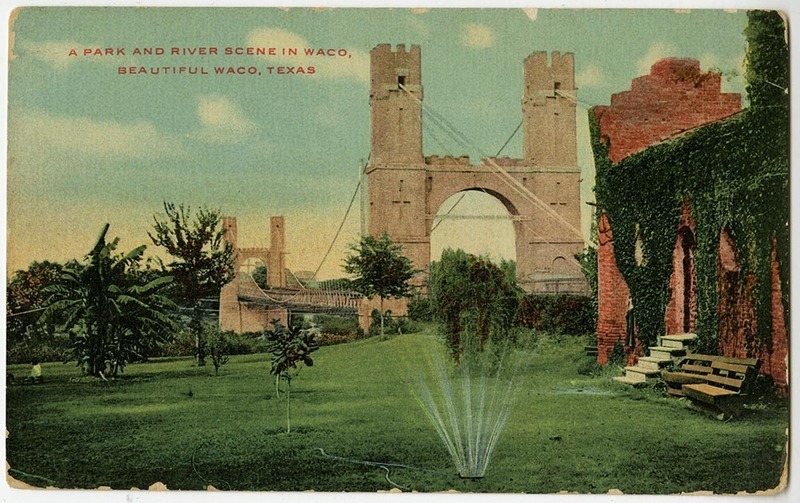 "Waco's Historic Suspension Bridge," accessed August 14, 2017, www.alicobuilding.com/heritage/SuspensionBridge.php.